Why list your services with GEM? • Featured as a new supplier in our fortnightly eBulletin. • Special introductory tweet to our 7,000+ Twitter followers. • Listed as a new supplier in our monthly eNews to GEM members. You can Join GEM, from just £54, and get the members’ rate straight away! If you’re a freelancer or consultant, as a GEM member you can benefit from our monthly freelance network list newsletter. Inclusion does not imply endorsement by GEM. Fill out our suppliers list form and email it to advertise@gem.org.uk. Please use “save as” after you have filled in the form. If you are having trouble you can always provide the details in an email or over the phone. Got a question? Call us on 01634 853 424 or email us at advertise@gem.org.uk. 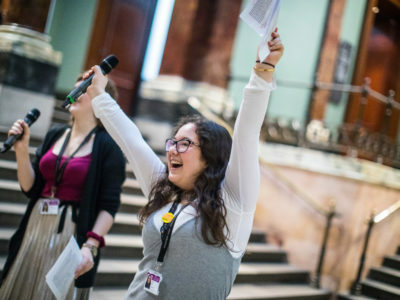 GEM's Find a Supplier list is for freelancers, consultants or companies who work within the museums and heritage learning sector to advertise their services. GEM membership is open to anyone interested in learning through museums and heritage and is available to individuals and institutions.